One of the most compelling discipleship models we know starts with bringing a blind child into a supportive group of other blind children, led by an older Christian blind person that has met and conquered the same obstacles they face. 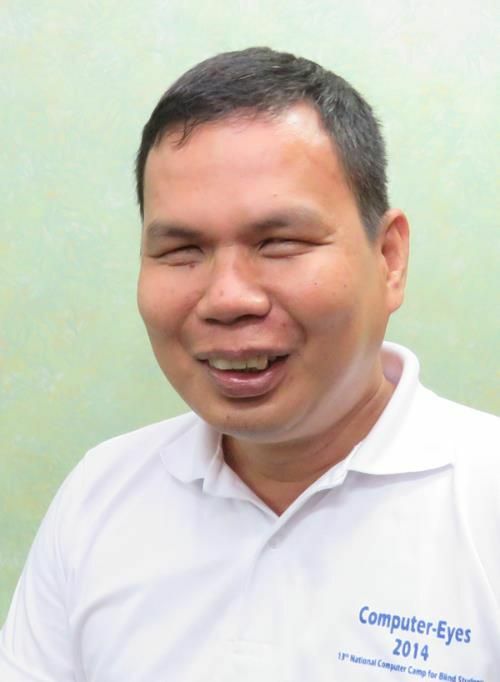 RBI Philippines and interested friends all over the world support a number of trained blind disciplemakers. These disciplemakers work in very challenging circumstances -- traveling alone on public transport through treacherous city traffic to meet groups of students at different schools each day. It is a great joy to see many of the youth with whom they work grow to maturity and then, in turn, invest their lives in others. 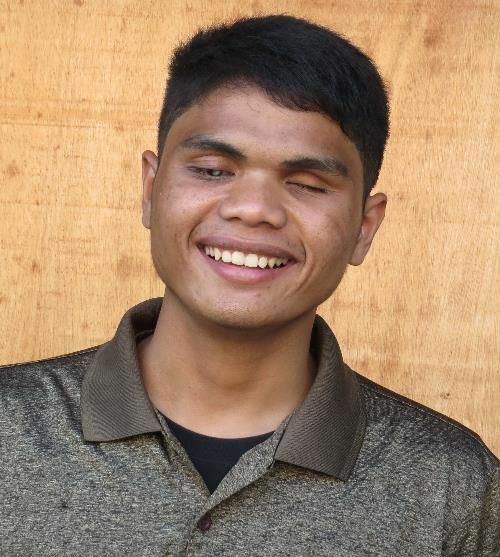 In 1997, when he had been totally blind for one year, Don Don heard the gospel and said he was drawn to it, ''because the man who spoke about Jesus said that he offered hope, comfort, and help.'' After becoming a believer, he finished his bachelor's degree in Theology at Wesleyan University with the help of RBI. Don Don is married to Mirriam and they have one son, Nathaniel James. ''A long obedience in the same direction'' aptly describes the story of Jay Rick Dubria and RBI. In May 2006 he attended one of RBI's summer camps for blind children, and made a profession of faith. After earning a bachelor of arts in Theology, he interned as a Bible study pastor. For several years now, he has led the same Bible studies that first brought him to faith in Jesus. Because he was part of the fruit of these Bible studies, this work is particularly close to his heart, and he is very grateful to give back and to encourage others with his story. 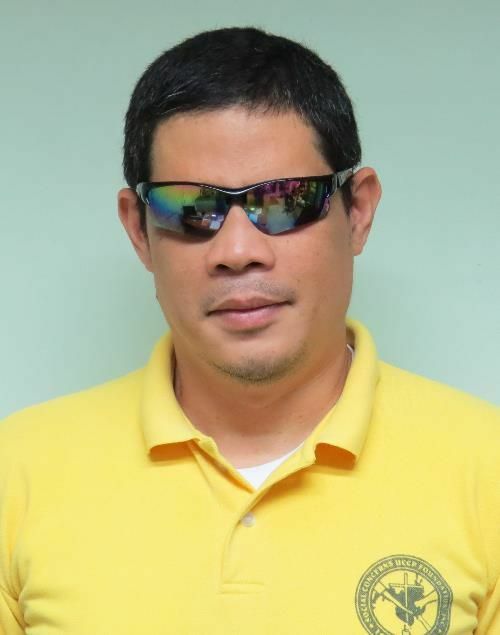 11/19/18: My primary task is to conduct Bible studies in various public schools where students who are visually impaired are enrolled. The sessions are participated in by over 80 students with visual impairment. I make my rounds of the 10 different schools, 4 in Metro Manila and 6 in nearby provinces, on a weekly basis. One thing I love about my ministry is that I always feel the warmth accorded to me by these children. I would see them eagerly anticipating my arrival, very excited for the Bible lesson that we will discuss. Seeing them wanting to learn and listen to our Bible study lessons as young as they are is already a fulfilment on my part. I am very grateful for the opportunity that the Lord has given me to serve Him because through this ministry, these students are able to know how much the Lord loves them. It is my desire that they whom I teach will also grow in their spiritual life and use their God-given talents to glorify the Lord. Jerome was leading and teaching the Bible to the blind and deaf for several years before coming on board with RBI. A believer since September 2010, he attended a Bible teaching seminar that RBI offered in 2014, and committed to be involved with RBI's ministry in the schools. ''To see the kids truly seeking the Lord, accepting Him in their hearts, and growing in their faith''--this is the most rewarding experience of Bible study ministry, says pastor and RBI Bible study coordinator Joel Bayle. He loves the fellowship with the children, teaching them, and sharing the Scriptures with them. ''Little by little, I'm becoming close to the kids, and I feel there are a lot of them who need the Lord in their lives.'' One of Joel's students had gone on to lead worship in his church for several years. 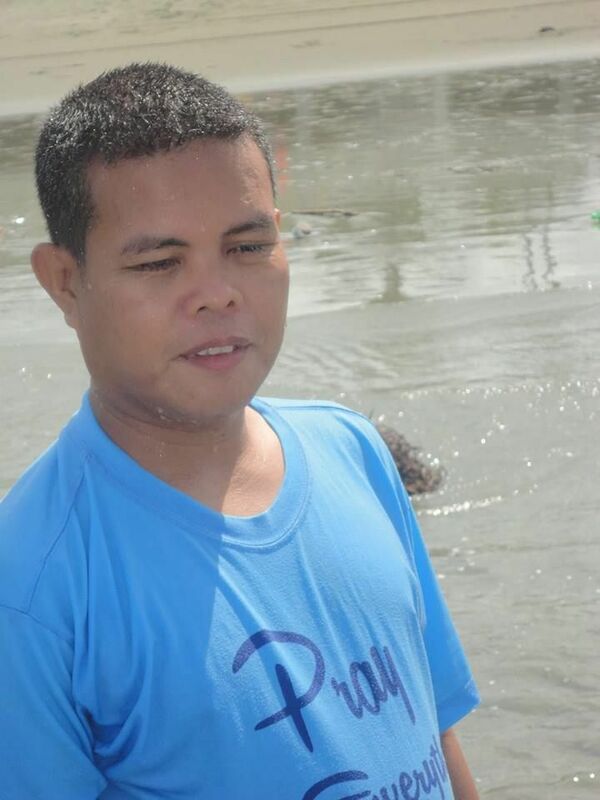 Joel was previously an assistant pastor at a church in Mindoro island. He first started with RBI through the recommendation of friends. 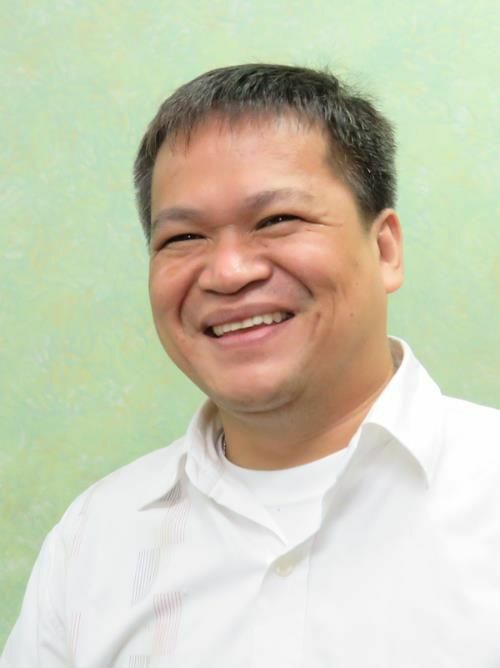 Joel holds a Bachelor of Theology from Wesleyan Bible College in Pangasinan province. 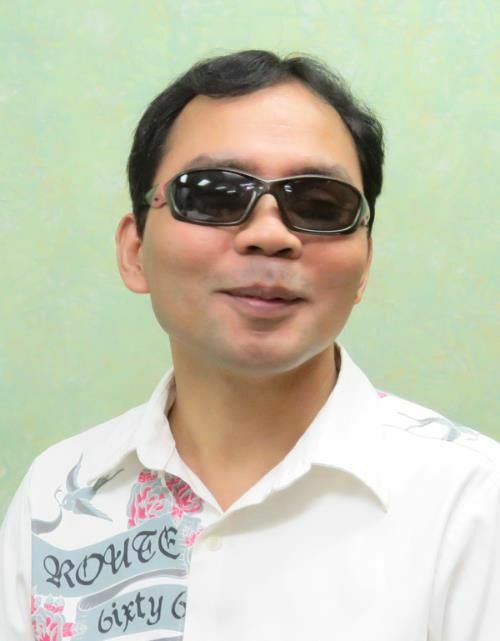 He is totally blind due to Retinal Detachment. 11/19/18: I conduct Bible Study with students with visual impairment in 10 public schools a week with 60 students from elementary to secondary. I travel alone everyday to meet them in the schools where they are enrolled. Being in this ministry of RBI is really a blessing. I have witnessed changes in the lives of my students from the time I started holding Bible Study to the present. They are now very eager to learn and listen to the word of God. The excitement they express each time I visit them is really fulfilling, and seeing them desire to know the Lord deeper in their lives motivates me to keep on sharing the Word of God. It is also very rewarding when I learned that I have students who are now going to Christian Churches and are involved in various ministries. I believe that there are still more souls needing to be won for Christ. I am very much willing to be used by Him in every way possible. Please continue praying for all of us here at RBI. We are challenged in various ways, but the Lord will surely provide ways for us to overcome. To those who will be reading my testimony, God bless you all! Visually impaired or not, Jonathan has been busy serving the Kingdom since he became a believer in 1983: choir member, organist, children's ministry, occasional preaching, and a ministry to the blind in his city. He also occasionally gave devotions at RBI workshops. He has been a Bible study pastor since 2014. He and his wife Elisa have six children. 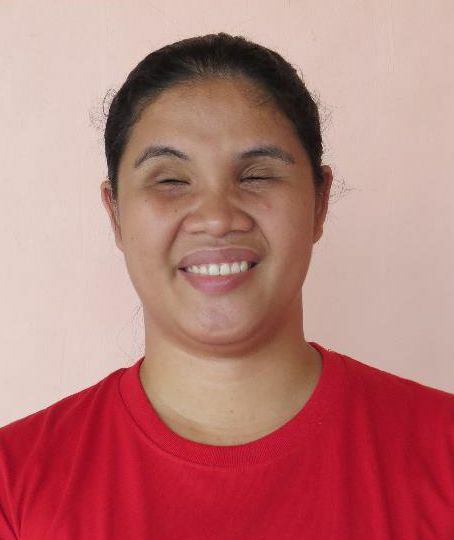 Joyce works at Resources for the Blind, where she coordinates our blind workers that assist students. She also is in charge of our summer camp. Louilen is paying it forward. She became a believer at one of RBI's summer camps for blind children in 1997. She has been part of various RBI programs since then, and came on board as a Bible study teacher in 2012 when she graduated college. She has also done numerous other evangelism and discipleship events and programs. 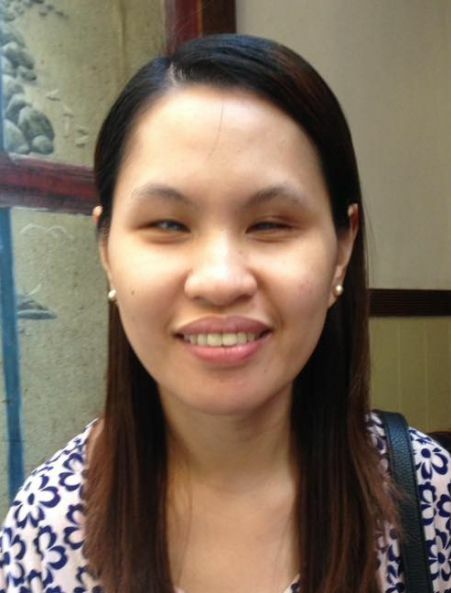 Louilen says her greatest reward is seeing ''how many lives are changed because of knowing Christ through many trainings, workshops, and orientations.'' One of her students is even following the same path: she has attended Bible school and is planning to serve the Lord in ministry. Nick has been totally blind since age 14. Throughout his childhood various people shared the gospel with him, but it wasn't until several years after graduating high school that he became a believer. He graduated in 2001 from Wesleyan University and served as youth pastor, assistant pastor, and now a RBI Bible study pastor. Nick says that it is his greatest joy to see the students he is pastoring attend church regularly, for them to accept Christ as their Savior, and to see them involved in different ministries. He has been greatly encouraged by one of the blind students who has gone on to lead worship and start a college Bible study. I'm very grateful to our all-mighty God for what He has done in my life. 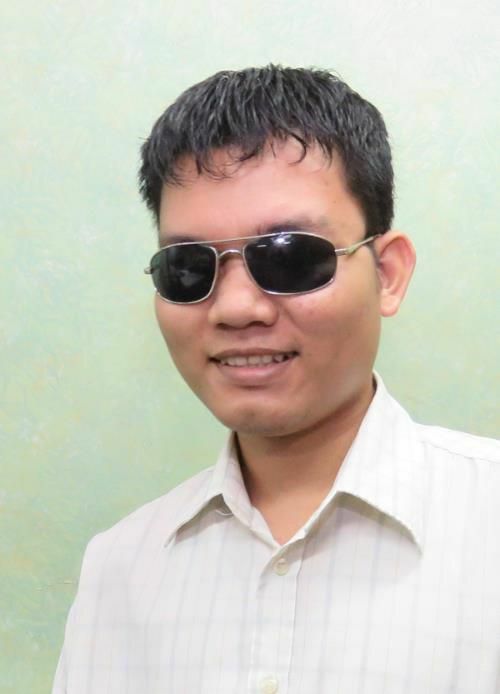 In spite of my visual impairment, the Lord chose and called me in the ministry. I became a follower of Jesus through the radio ministry of a Christian station in the Philippines. After I graduated from Wesleyan Bible College in 2001, God allowed me to become the pastor of Naujan Bible Christian church in Mindoro. I really thank the Lord and praise Him for this very challenging ministry that He has entrusted to me. It is very challenging because I have to face all the risks and dangers of traveling alone from the office going to various schools. But God never fails on His promise that He will always guide, protect and be with me like what Jesus said in Matthew 28:19-20. ''Go ye therefore, and teach all nations, baptizing them in the name of the Father, and of the Son, and of the Holy Ghost: Teaching them to observe all things whatsoever I have commanded you: and, lo, I am with you always, even unto the end of the world.'' Amen! Most of all, it is the love of the living God that gives me joy in doing this special ministry. 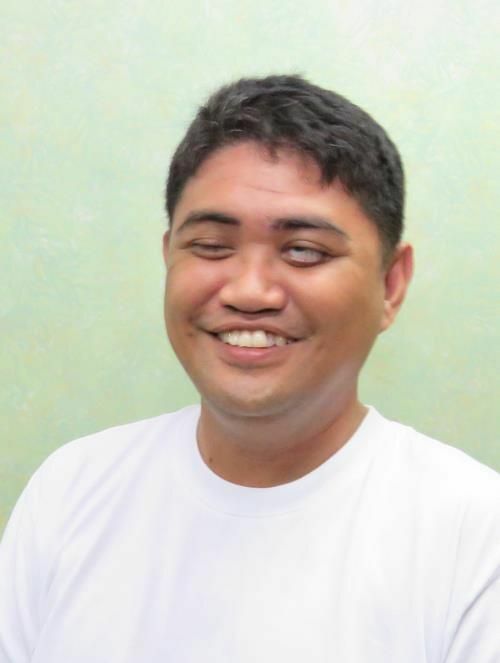 Note: Reynold is also pastor of Manila Church for the Blind. He and his wife Judith have one child. 11/19/18: Greetings in the name of our Lord Jesus Christ. Over the last 10 years, I experienced a lot of God's marvelous works. I was assigned as Bible study Leader to 7 elementary schools and 2 high schools. I have more or less 55 attendees in elementary level, and 20 to 25 in high school. Many students have come to know the saving knowledge of the Lord Jesus Christ. Today, some are members of local Christian churches, and some have involvement in various ministries like music ministry. As I observe and do some follow-up with my students, I can see the changes in their attitudes. Even their perspectives in life matured. They have come to know how it is to have a new life in Christ Jesus! Another exciting part of this ministry that really gives joy to my heart is seeing most of them very eager to study the word of God. As a result, they continue to grow spiritually and even develop their personalities. Besides holding Bible Study in schools, I take care of the Chapel Hour with my fellow staff in our office every Wednesday. I am also the co-host with sister Joyce Lopez of our radio program entitled ''Si Bartimeus At Ako'' (Bartimeus and Me) where we invite guests to share their life experiences especially their testimonies on God's goodness and faithfulness in their lives. I deeply thank God for this radio program because we are able to share the gospel and touch the lives of many people in and around the country. Please continue to pray for God's workers in this ministry and for provision to sustain the ministry that He entrusted to us. To God be all the glory!